An Arizona district ranger is relocating to Colorado’s High Country to take over as deputy forest supervisor of the White River National Forest. 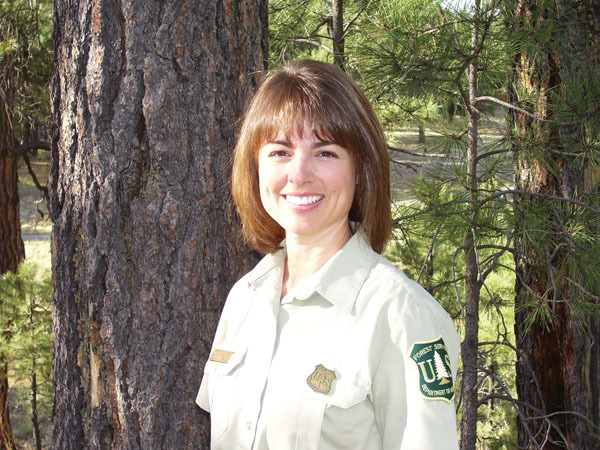 Heather Provencio, a 22-year veteran of the U.S. Forest Service, will step into the new role as second in command of the local forest in June. “It’s a whole new level of leadership for me,” Provencio said. The move will be a change of climate for Provencio, who is currently a district ranger in the arid climate of the Coconino National Forest in Sedona, Ariz. She also served as acting forest supervisor in Oregon and was at one point a staff archeologist in the southwestern United States. She will be based in Glenwood Springs. Provencio will join a staff managing a much busier forest – with roughly 11 million annual visitors compared with 2.5 million in Coconino – facing a historic drought, a pine beetle epidemic, a tight budget and the threat of catastrophic wildfire. She says she’s ready for the challenges. Provencio has bachelor’s and master’s degrees in anthropology from Northern Arizona University. She has experience managing large, complex recreation programs. She said she has long been a visitor to Colorado forests and loves outdoor activities including hiking and skiing.